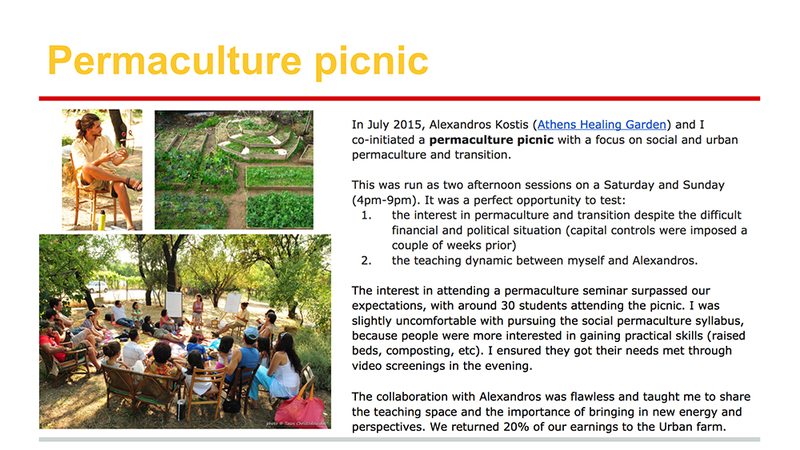 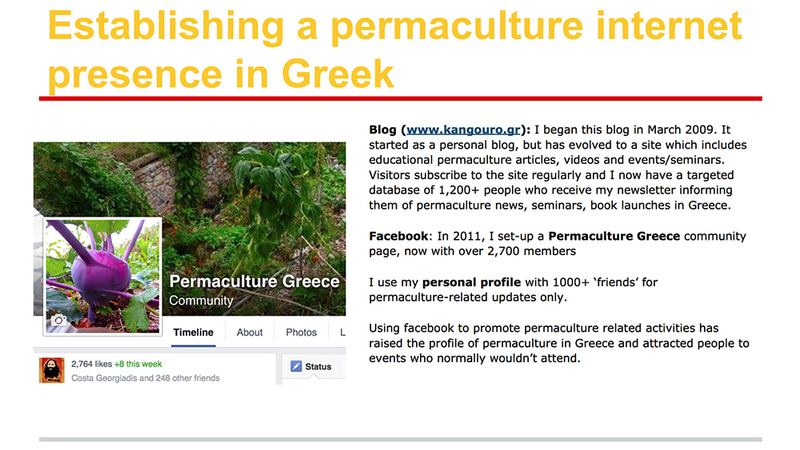 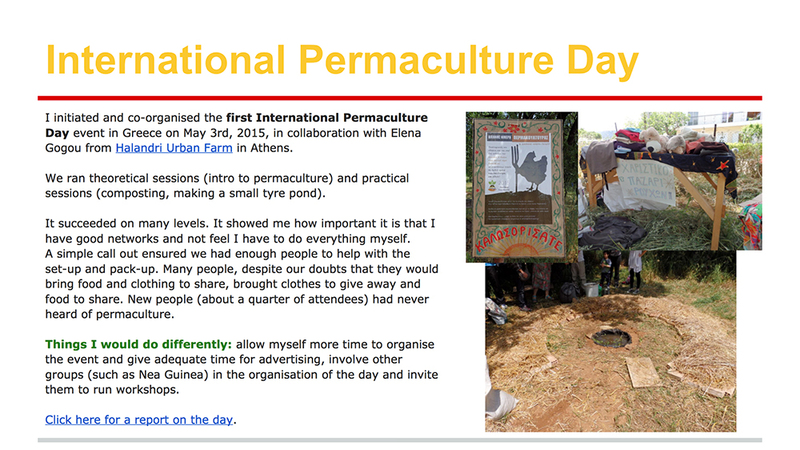 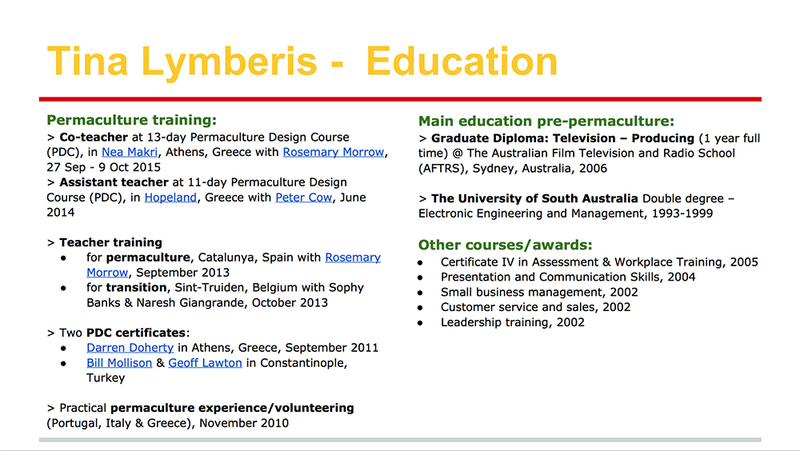 When Tina returned to Greece there were very few permaculture materials for students to consult in Greek. 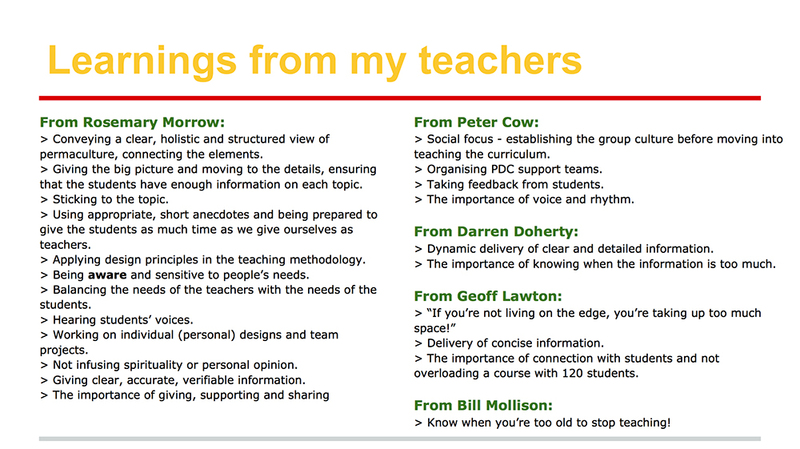 It’s very difficult to accept new knowledge only from the words of a teacher. 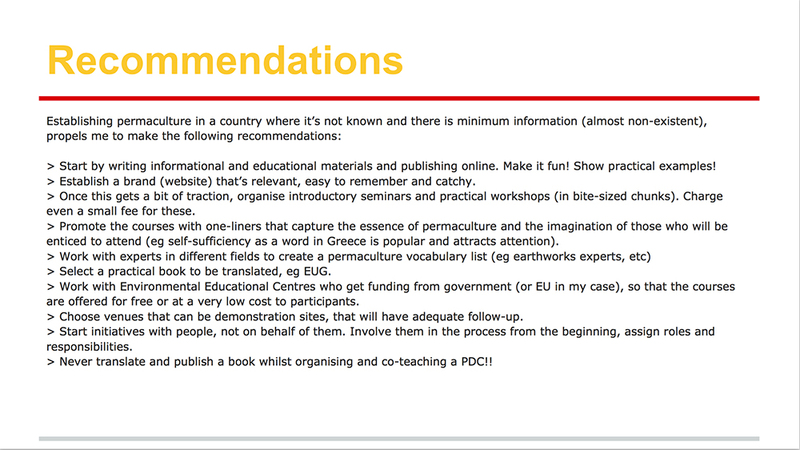 All students require either online or written text to validate the knowledge they are given. 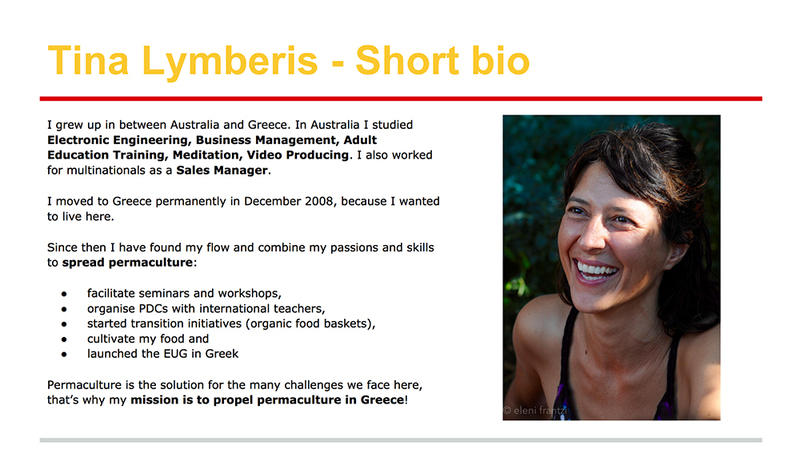 As a permaculture pioneer in Greece, Tina decided to translate Earth User’s Guide to Permaculture, at the same time teaching short courses in villages and towns across Greece. 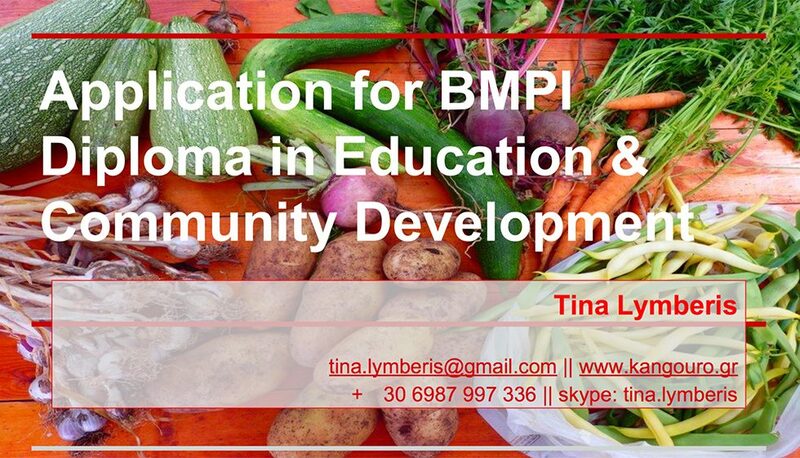 Tina approached this very professionally. 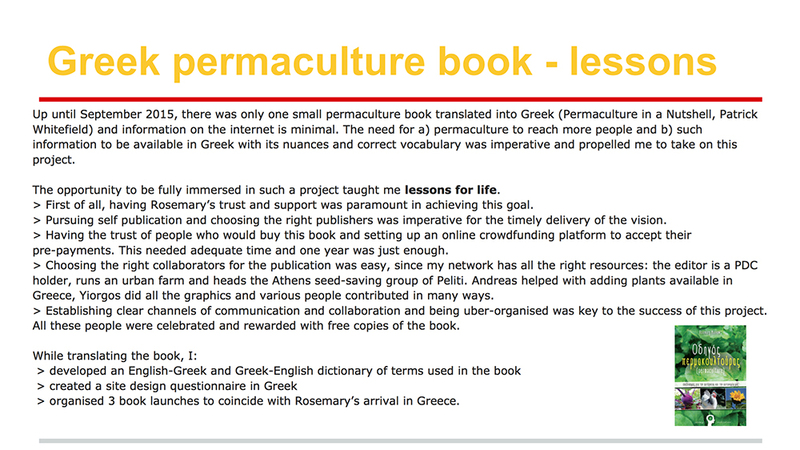 She put the book under a microscope and tested every word that was translated for correct sense in Greek. 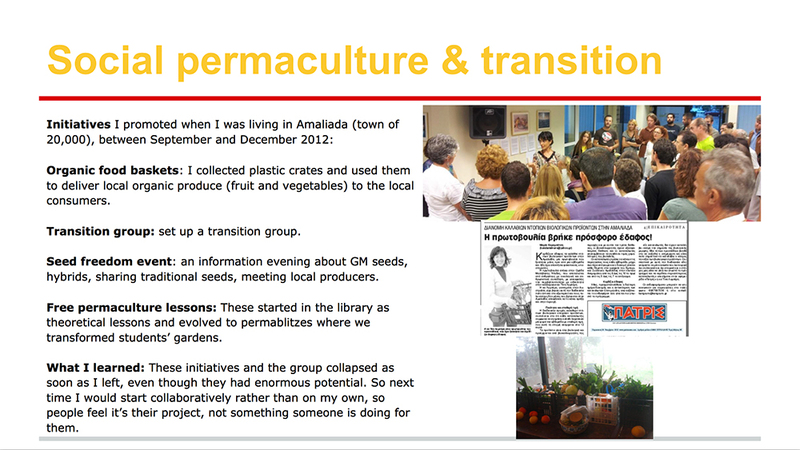 She employed a professional reader, Eleanor Gogou, who knew permaculture, to read and critique her translation. 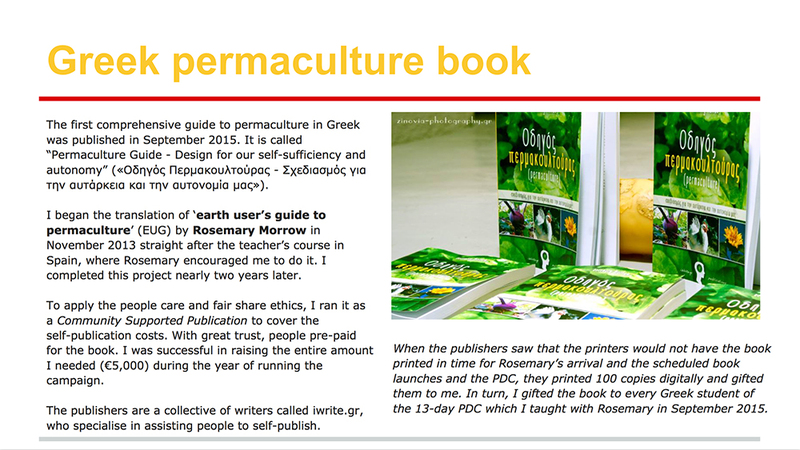 She found a publisher who was highly ethical and then pre-sold and launched the book. 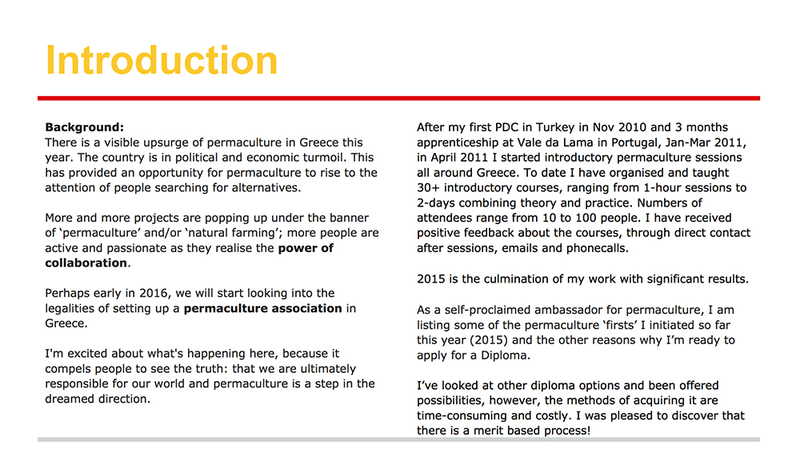 Everyone in Greece now potentially has access to an introductory textbook on permaculture, even where they may not be able to attend a course. 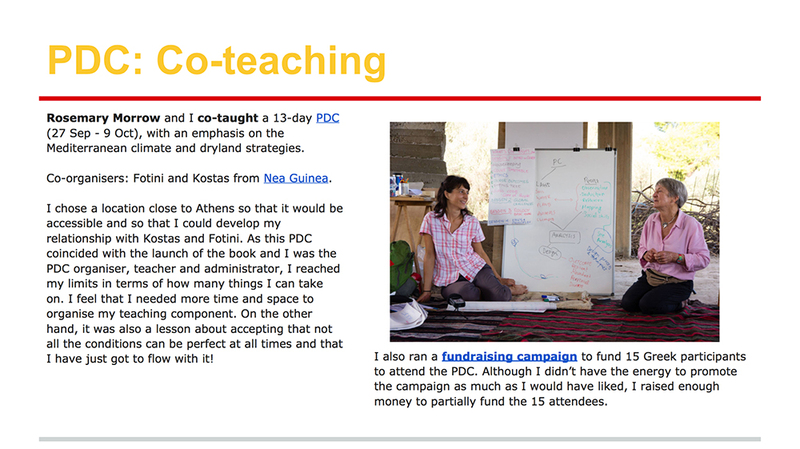 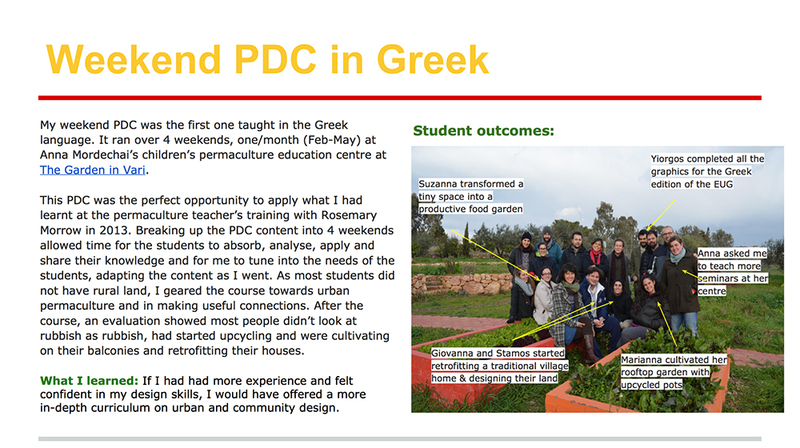 Apart from this contribution, Tina has consistently taught short courses and PDCs, run community development events, introduced a permaculture internet presence in Greek, and is now engaged in developing land.